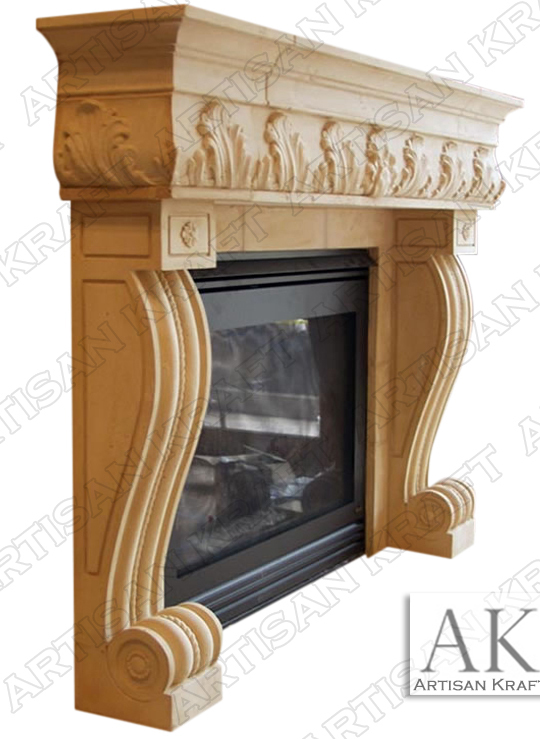 The Naples cast stone fireplace surround perfect Mediterranean option. Corbel scroll legs and a decorative shelf frieze. Typical Dimensions: 72″ wide x 50″ high *can be made to custom dimensions.